Welcome to the happiest flower delivery in Melbourne. Born from a love of spreading happiness and brightening days, the Little Jar of Happiness came about during Mental Health Week in 2014 as a way to bring a little cheer to those who need it most. They were so popular they now have their very own website, so you can send a sweet little bunch to someone special no matter the occasion. Every morning our enthusiastic team of flower lovers lead by Kate Williams (qualified florist and owner of floral design studio Mary Mary) hand picks the most inspiring selection of blooms at the market. They're fresh, they're locally grown and they're lovingly prepared and arranged by the hands of trained and experienced florists. Our blooms are delivered daily across Melbourne by our team of Flower Delivery Specialists. We don't use external courier companies, we only hire the loveliest, like-minded drivers around. 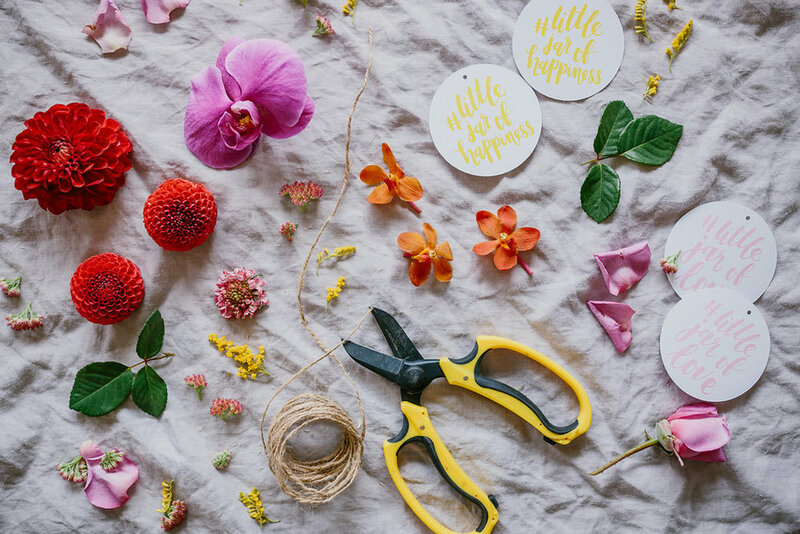 They're not only experienced couriers, they're also trained flower care professionals, which means your blooms are handled with care and delivered with a smile. Studies show that simply being around flowers helps improve your wellbeing. That's why we first created the Little Jar of Happiness, and why we're so proud to donate $2.50 from every single little jar to Beyond Blue to support awareness of depression and anxiety. Plus, every year during Mental Health Week, 50% of profits from all Little Jars of Happiness are donated to Beyond Blue too. Sign up to receive the latest flower goss, discount codes and special events.